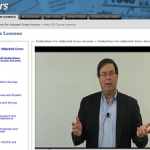 Lambers Business Tax Preparation Basics – Lambers, Inc. While many tax preparers focus on preparing individual returns, there will be a time when a client will ask to have a return filed for business. Don’t get caught flat-footed when that happens! The Lambers 3.5 hour Business Tax Preparation Basics course will have you familiar with the tax treatment of the different business entities you may encounter in business tax preparation. 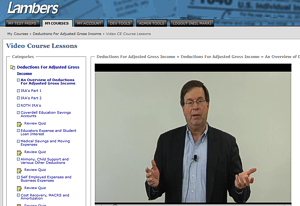 Included in the course are online video lessons from Professor Arthur Reed, MBA, CPA, MST, a tax guide with definitions and examples, and many of the forms and publications you will need in business tax preparation.